Everlast may be the most recognizable name in combat sports; the company has produced sporting goods since 1910 and reached farther into the general public than any other combat sports brand. My first pair of boxing gloves was Everlast and I’m sure that’s the case with a large percentage of martial artists. 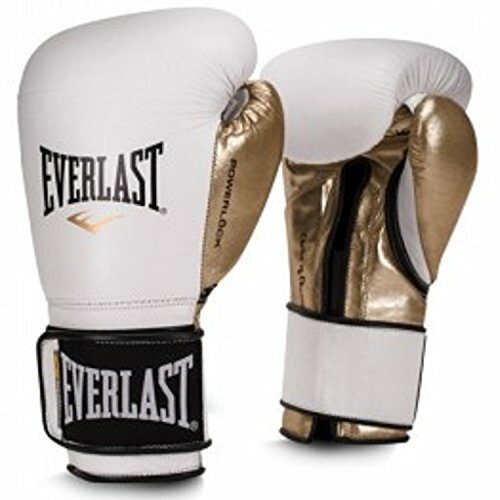 The Powerlock glove by Everlast is the most popular offering by the company. The leather construction and a variety of color options, as well as your choice of lace-up or hook & loop enclosure, make it a solid choice for your main training gloves. The price of $99.99 may make it a little harder to pull the trigger on this purchase, so Everlast has introduced the Powerlock in synthetic leather for half the cost. They currently offer the Synthetic Powerlock gloves in hook & loop enclosure only. There are 2 color options of 12 oz gloves for women, and 2 additional color options at 14 and 16 oz for men. I signed up for the Everlast mailing list and was able to take advantage of a 50% off sale and grabbed a pair of 16 oz synthetic leather Powerlock’s in red, white, and blue. The gloves arrived quickly, and the first impression is impressive. The color combination is bold and classic, and it’s hard to tell these gloves aren’t real leather. There is no need to break the synthetic Powerlock’s in; they are ready to smash pads or your training partner right out of the package. They are easy to take on and off quickly and are just really easy to use. The punching surface took some getting used to for me. Most gloves that I use have a rounded surface but the Everlast Powerlocks’ punching surface has a gradual slide from your pointer knuckle down to the pinky. I found myself sliding off of the bag a little and striking my sparring partner with my ring finger and pinky knuckles sometimes. After a few sessions with these gloves I was able to adjust and that’s not much of an issue anymore. I still prefer a rounded punching surface or a Thai style glove, but that’s more of a personal preference than a dig at the Powerlock gloves. The wrist support and knuckle protection are great with these gloves, you can’t always count on the best wrist protection in a hook & loop glove, but these Everlast Powerlock’s do a great job. One thing I can’t say I like about the Everlast Powerlock synthetic glove is the liner. After a few rounds, when my hands start to sweat, the liner around the fingers became loose, enough so that it got tangled up between my fingers, the liner felt completely detached from the end of the glove. The right and left both did this, so I decided to contact Everlast to see if this was a defect or it is by design. The customer service team at Everlast contacted me quickly after I sent my inquiry and I received this: “Gloves are purposely manufactured with the interior liner slightly loose to allow for hand wraps, tape, gauze, or other protective materials. Unfortunately, the size of the users hand(s) may not fully suppress this material. If the liner is sewn very snug and tight it may compromise the fit and function”. After receiving this response; and knowing that I had been using these gloves without wraps, I wrapped up with my Radius wraps and experienced the same thing. 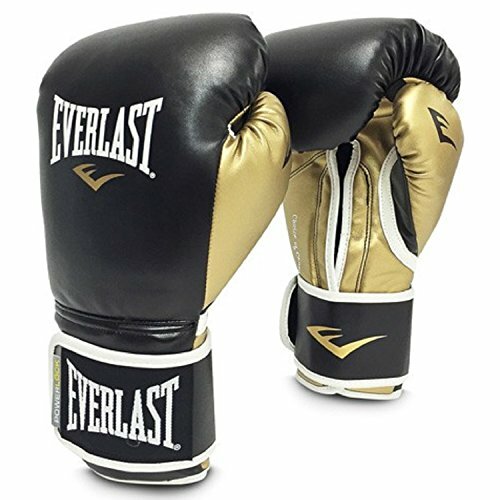 These gloves are not custom fit to my hand, so I don’t expect everyone to have my same complaint, and I appreciate the prompt response by Everlast’ customer service. Even having a couple aspects of the Everlast Powerlock synthetic gloves that I don’t care for, I still use them good bit. The best part about these Powerlocks is they are very comfortable. The synthetic material is soft, the overall hand and wrist protection are good, and they have held up well for months and over a hundred rounds of training, and for a retail price of $49.99, they one of the best options for the price, and if you listen to former UFC heavyweight Brendan Schaub’s ‘Big Brown Breakdown’ podcast, you can snag a discount code from Everlast. 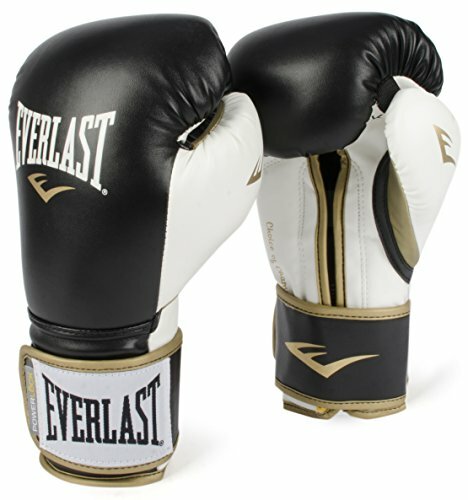 Greg purchased this pair of Everlast Powerlock gloves himself for the full price. This did not influence the outcome of this review. Comment from discussion Everlast Powerlock Synthetic Boxing Gloves Review by Greg Brown.